Only a few days ago, we were watching the incoming M8 blast its way around the Nurburgring. 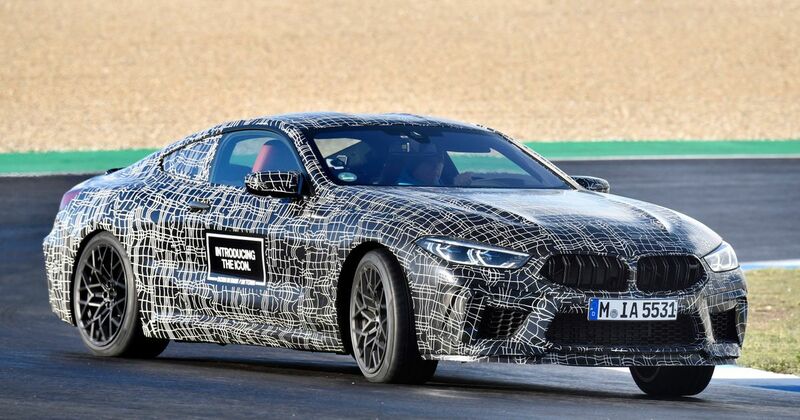 Now, BMW has released a bunch of images of its M8 test mule, and given us some idea of the spec. As we’d been expecting, it’ll use the same 4.4-litre twin-turbo V8 as the M5. Only here, it’ll be slightly more powerful, with “north of” 592bhp on offer. 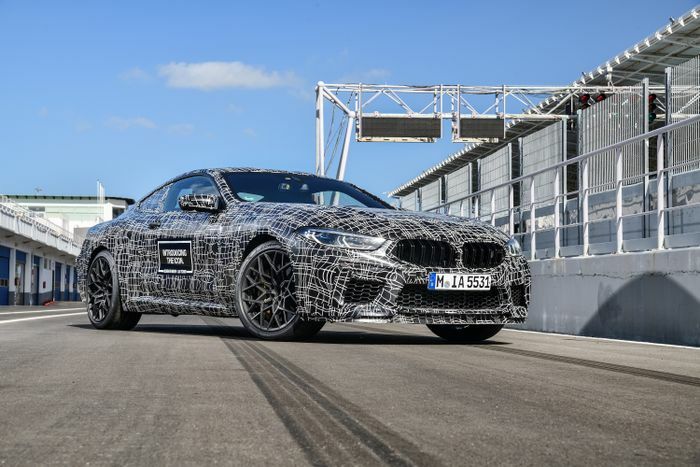 That power will be sent to all wheels via a rear-biased four-wheel drive system, which will - like the M5 - have a tyre-shredding two-wheel drive mode. Can I get a hell yes? The rest of the press release is light on details, with BMW promising all the things we were expecting anyway, like “minimised weight, low centre of gravity, even weight distribution, optimum wheelbase and wide tracks”. However, Autocar is reporting that there’ll eventually be a Competition version with its V8 tickled to produce a mighty 650bhp. 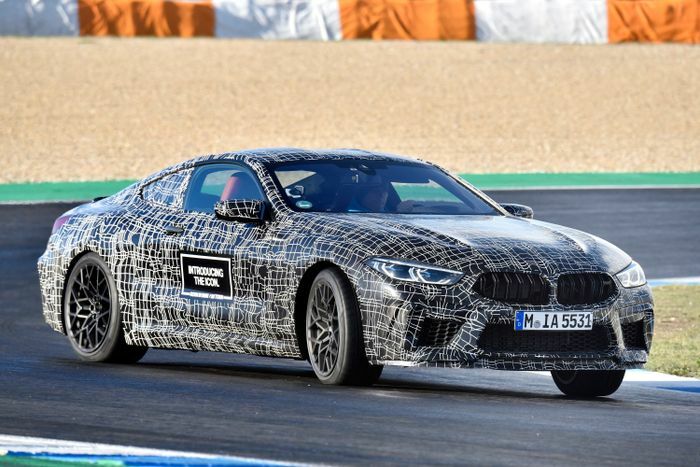 The publication also notes that the M8 will have double wishbone suspension derived from the M5’s setup. 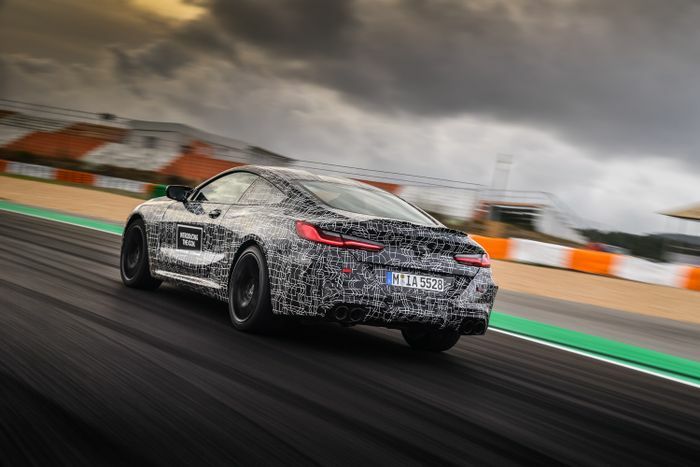 The car will be launched in coupe form “in the course of 2019,” and will be followed by a drop-top plus a five-door ‘Gran Coupe’ version, BMW says.